Notes: The yew grows NNE of the church. A platform within the tree is surrounded by many substantial branches. 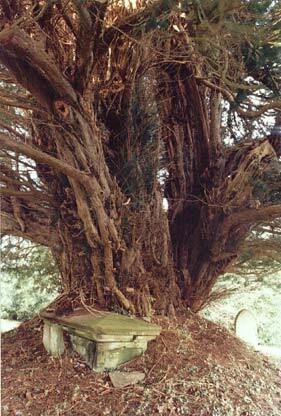 Latest information: June 2015 Peter Norton: The yew grows close to the church porch. Several dead branches were piled up against the trunk. What looked initially like die back in the crown was a broken branch stuck in the canopy.